May 30, 2018- Jam jar lanterns; a simple idea that is easy and cheap to make but really effective Sofia Høegh... How to make Christmas lantern with a Jam Jar Someone on Facebook recently asked if I could do a tutorial on how to make one of our Christmas Lanterns so here it is... Today Honi, my 6 year old made hers with an old coffee jar and Harmonie made hers with an old pesto jar so it doesn't HAVE to be a jam jar just a glass jar. Make this mason jar table lamp and add a little light to your home! Christmas Mason Jar Lanterns . Make this mason jar table lamp and add a little light to your home! Everyone loves mason jars. It holds a sense of nostalgia and is a versatile decorating element in any home, especially during the Christmas! If you haven't started decorating yet and you have convinced yourself that you can't... 28/08/2011 · Into The Jam: Jar Lanterns Part One Blueberry! Nom nom! But seriously, folks. Today’s post is about making jam jar lanterns — so we had to finish off all the jam in the fridge. 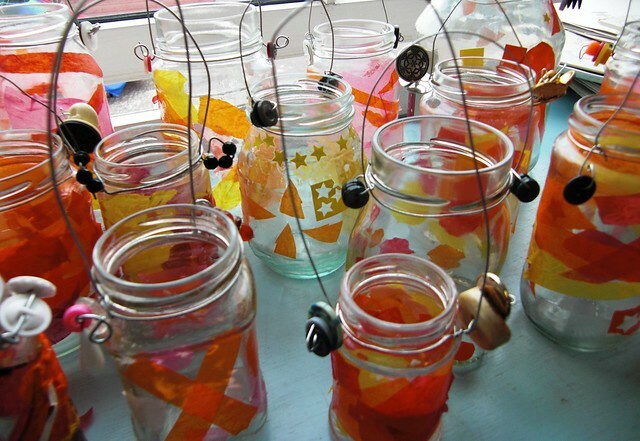 Use jam jars, or other jars rescued from the recycle bin, to make attractive hanging jar lanterns for your outdoor summer spaces.... Make and decorate a lantern with a tea-light to take home or to the Parade of Animal Lanterns after the story of “The Real Halloween” in the Woods. making lanterns Comments are closed. 28 Simple DIY Garden Lanterns for Your Next Outdoor Party The project you choose will depend on the materials you have on hand and the amount of light you need. A small outdoor cafe table may only need one or two small candle holders to properly illuminate it. I’ll be washing out jars and mixing up paint to make the perfect Jack-O’-Lantern jars. Following to a tee this fabulous tutorial from Ashley at Make It & Love It. 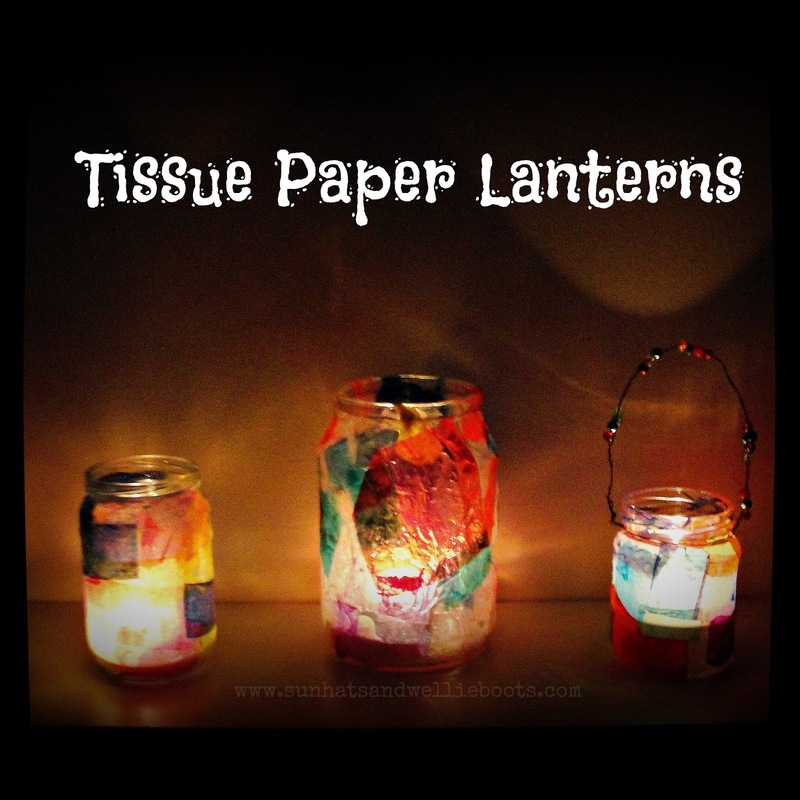 26/10/2016 · Make a group of peaceful lanterns to line a walkway or entrance area for a special party. The jar could also be hung by wrapping wire around the rims under the neck and firmly tying in place, then adding a hanger to the wire. How to make Christmas lantern with a Jam Jar Someone on Facebook recently asked if I could do a tutorial on how to make one of our Christmas Lanterns so here it is... Today Honi, my 6 year old made hers with an old coffee jar and Harmonie made hers with an old pesto jar so it doesn't HAVE to be a jam jar just a glass jar.